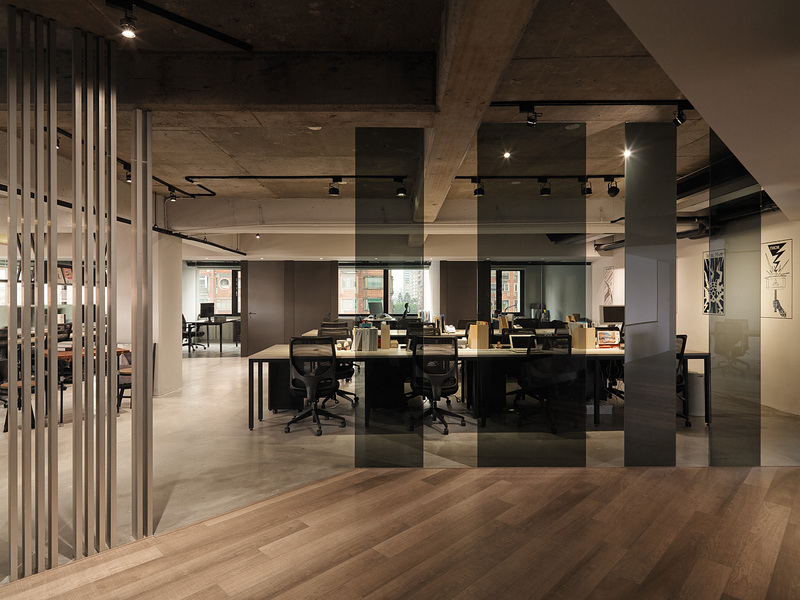 Mr.Tech makes use of heterogeneous materials with different sizes, wood and transparent glass panels to create partitions orderly aligned in a way similar to the multi-tiered changing network frequency. 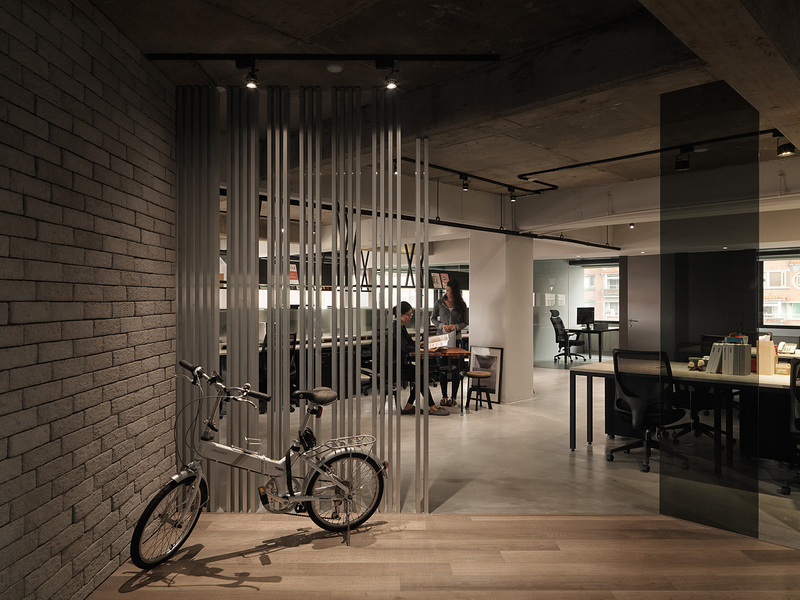 The space so designed is ideal for the interaction of human beings and the digital generation. 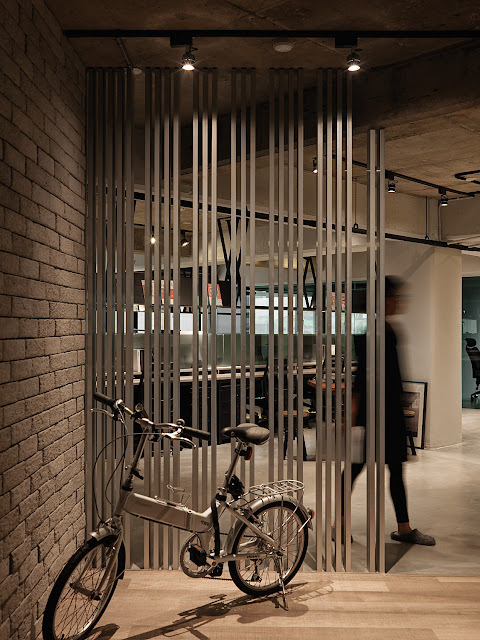 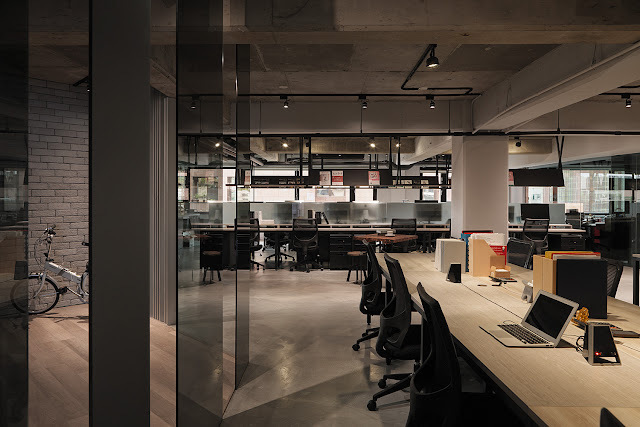 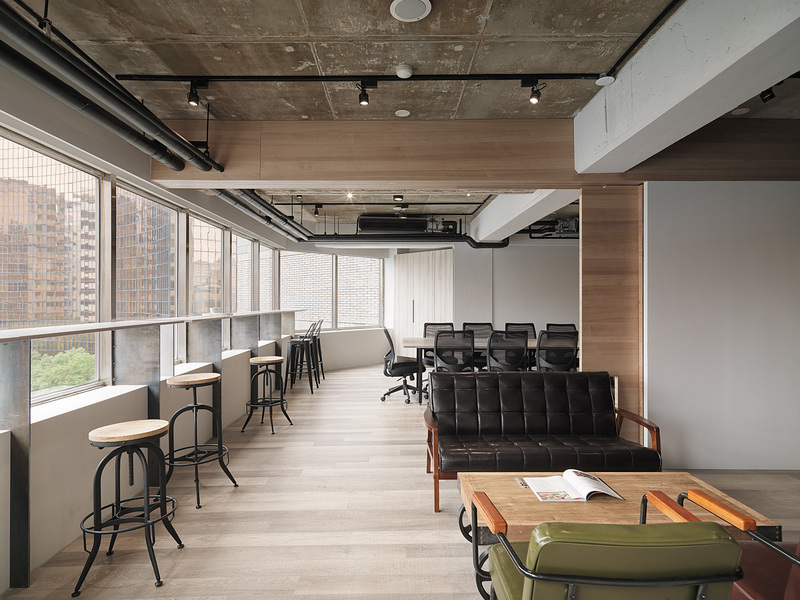 A semi-transparent trellis feature and cast-stone wall punctuate the entry, while wood and concrete flooring differentiate internal office from external guest use. 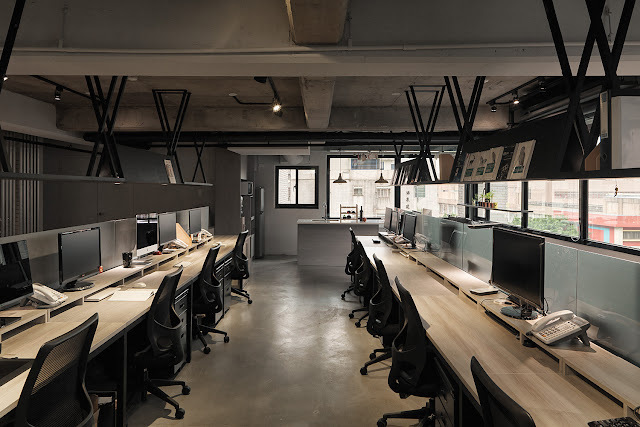 X-shaped bookshelves also echo the web-marketing nature of the office, signifying both an ideal Internet platform for people to gather and a great office space for staff to interact. 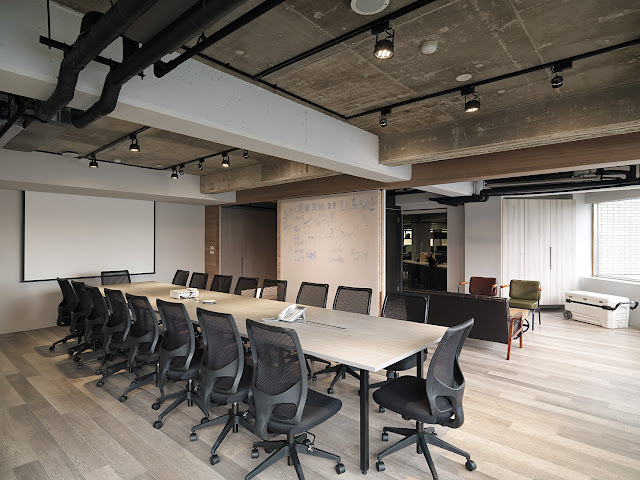 The open plan and moveable doors of the meeting room and small reception space afford office users both the privacy necessary during meetings and open view when a meeting is not in session. 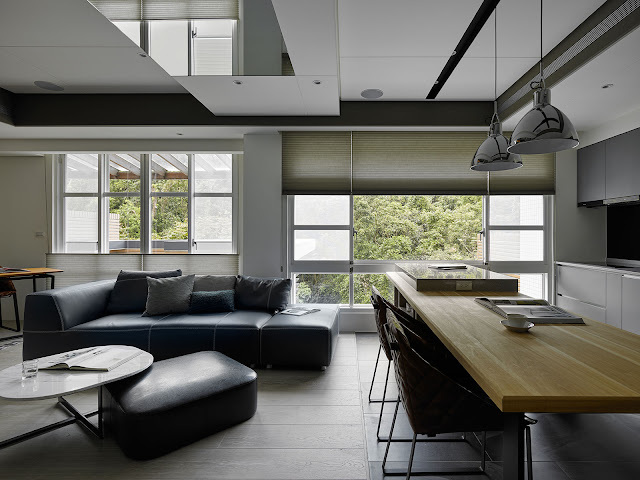 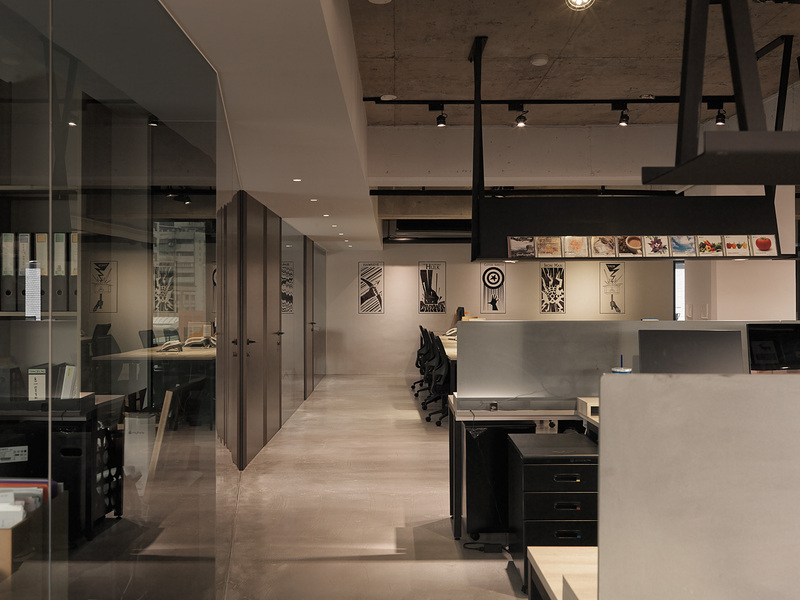 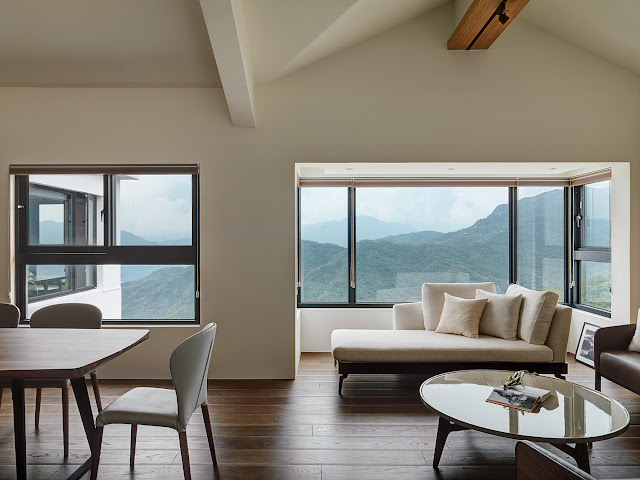 In a fast-pacing work environment, situated in a space which strikes a balance of work and comfortable life, the superior interior design creates high work efficiency, sense of happiness, and impression of good life.